Bolehill House nestles into the hillside with expansive views across the Derwent Valley. The new work will make the most of these views whilst enhancing the sense of seclusion and privacy. The house comprises three Victorian workers cottages that have been merged into a single house. 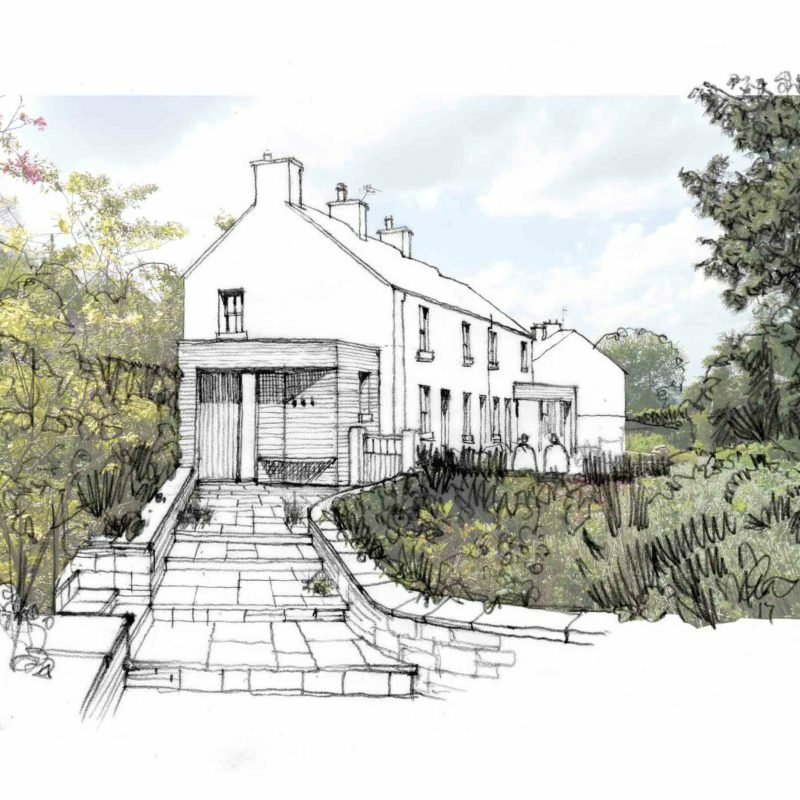 The new additions seek to restore the visual clarity of the original cottages whilst creating a new garden room that blurs the boundary between house and garden. The project aims to use low cost, readily available materials to create a highly energy efficient, sustainably minded addition to the house. A stone wall wraps around the exterior of the new addition, extending the language of garden walls. A large glazed wall opens up to the garden and provides the house with a space that takes advantage of the long views down the valley.